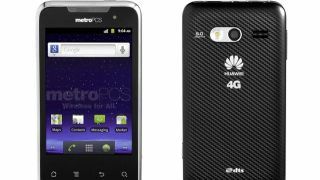 Huawei is finally launching its first LTE capable smartphone in the U.S. through prepaid carrier MetroPCS. The Activia 4G isn't the most impressive LTE debut for Huawei, equipped with an 800MHz processor and 3.5-inch 320 x 480 display. It also sports both a 5 megapixel rear camera and front-facing VGA camera, runs on Android 2.3 and includes a 4GB microSD card. The most notable feature though is its price - selling for $149 after a $50 rebate through MetroPCS without a contract. The LG Connect 4G is the closest competitor to the Activia 4G in terms of price and costs $100 more. "MetroPCS is committed to providing customers with advanced, flexible and affordable smartphone options through its no-annual contract services, and is the ideal partner for Huawei's entrance into a new era for smartphones and handsets," said Huawei USA Executive Vice President Michael Chuang. Even though the Huawei Activia 4G can't compete with other LTE handsets on its specs, the price makes it an attractive offer for those looking for a prepaid 4G smartphone.